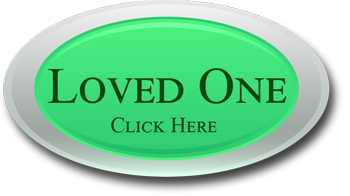 We will find a support group in your home area, and continue to maintain contact with you through email and phone calls. 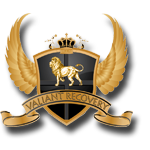 At Valiant Recovery your treatment continues even after you have left our facility and gone home. We have a dedicated member of our team standing by, wanting and waiting to help you through your recovery process. BattleZONE for Men combines basic Christian spiritual training with a cyclical discipleship strategy. BattleZONE Ministries help churches develop disciples using the BattleZONE Discipleship Training Cycle below. This is the backbone of our treatment program, we know most people do not open up in group sessions. In order to treat the roots behind addiction, you have to be able to discuss deep private things. One-on-one Counseling is important. This is why we Guarantee a minimum of 4 hours per week with a Licensed Clinical Counselor. Art-based psychotherapy emphasizes the products (drawings, painting, and other art expressions); resolving conflicts; solving problems; and formulating new perceptions that in turn lead to positive changes, growth, and healing. Art Therapy combines tradition psychotherapeutic theories and techniques with an understanding of the psychological aspects of the creative process, especially the effective properties of the different art materials. You will communicate with your horse in a nonverbal manner, building a relationship with your horse, which can be very rewarding. To realize the benefits of Therapeutic horseback riding, you need to be willing to try something new, confront fears, and make adjustments to situations beyond your control. Riding helps to empower and connect on a personal level, creating bonds of trust. One may experience shame, fear, depression, hopelessness, frustration, and anger. It can be a very lonely place living with an addict. You need to know that you are not alone; there are many others who are suffering through the same experiences and emotions. It is important that those affected by the addict also receive counsel, to help them through these difficult emotions and trials. It is not your fault! Even if you have become an enabler, the addict is suffering because of deep emotions that need to surface and be healed. Be encouraged; there is hope! You and your counselor will assess your physical, mental, emotional, spiritual, and relational stability by determining how much support you have. In all group therapy sessions, we encourage you to respect each other, by listening, being honest and supportive, and by responding with your experiences as well. We ask that you hold back any rude or harmful comments, If you have any questions, or misunderstanding with anyone, please ask questions to gain understanding. We are in this journey together and want to experience as much from one another as possible, so remember to be open and express your emotions. This will not only help you but others as well. Group therapy is to be a safe place to unload and recover together, helping one another, through this journey. We don’t believe that you need to sacrifice taste for health. Our menu offers a wide variety of foods and flavors. Healthy meals are prepared for our clients each day, which are both nutritious and exciting to the palate. We also bring in different staff to offer a variety of cooking styles in our dining room. At Valiant Recovery we have, preparing our balanced menu. With an individual therapist, a therapy program will be chosen based on each individual and their needs. At Valiant Recovery, we provide a minimum of 4 sessions a week up to 16 sessions a week, in one-on-one private therapy. This allows us to treat the Roots behind addictions. Intervention methods rely strongly on incorporating the entire family unit and friends in an effort to ensure that everyone involved receives help, especially those who are co-dependent and enabling the addict. One of the most common types is an alcohol intervention and many times it can benefit not only the participants but the entire family. This type of treatment puts emphasis on the importance of everyone becoming healthier while treating the addict with respect and dignity. Alcoholism affects generations and is thought by many to be an inherited problem. Sozo ministry is a unique inner healing and deliverance ministry in which the main aim is to get to the root of those things hindering your personal connection with Father, Son, and Holy Spirit. Thus, with a healed connection with Father, Son and Holy Spirit you can walk in the destiny to which you have been called. During the intake interview, our clients are asked if they are open to spiritual direction. Every individual has the right to decide for themselves what they believe and in no way should be pressured to form their spiritual beliefs. Although it is highly important to receive spiritual counseling, we understand that there are many different personal perspectives on this topic. 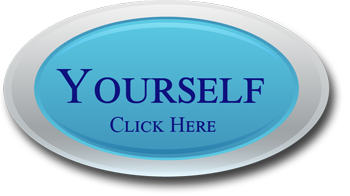 At Valiant Recovery, we recognize that everyone has a free will. Therefore all our spiritual counseling is optional and will be provided at the request of each client.